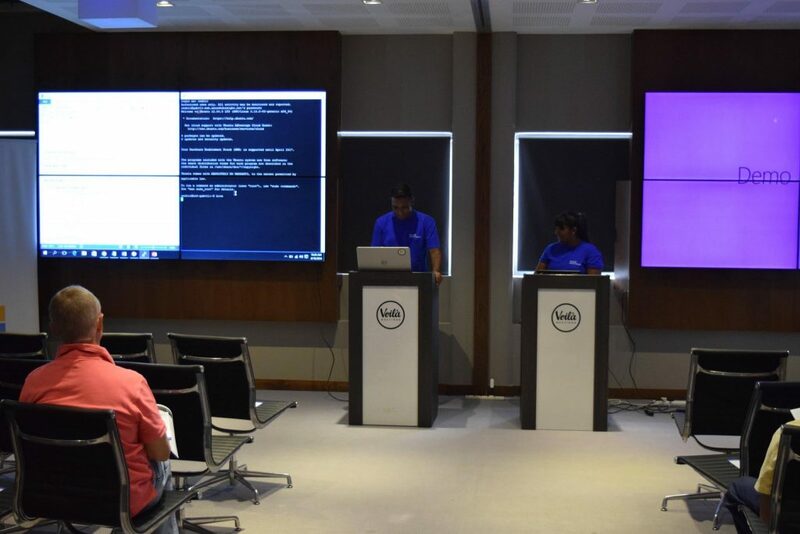 On the 16th April 2016, was held the biggest worldwide Azure conference called the Global Azure Bootcamp (GAB). 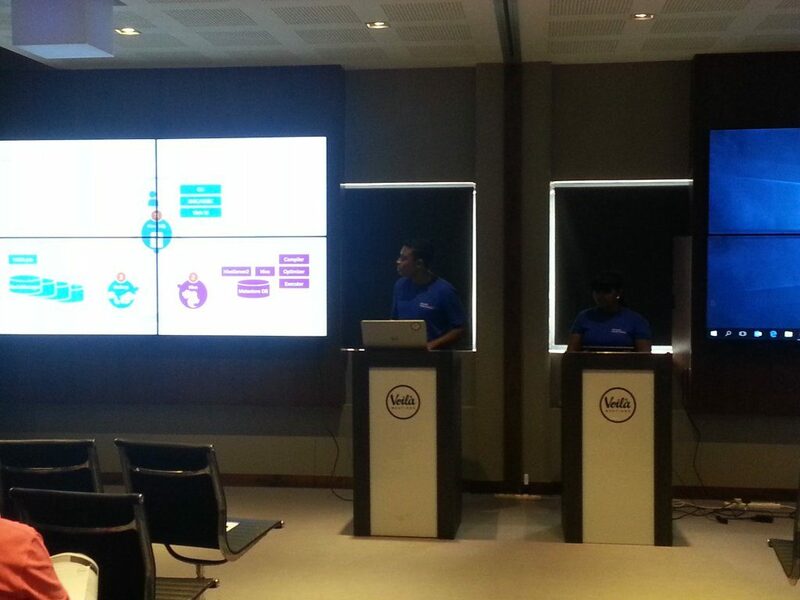 It was organised in Mauritius by the Microsoft Student Partners (MSP), a community of students passionate about technology how wants to stand out and help shape the I.T world of tomorrow which I am myself part of and with the partnership of MSCC (Mauritius Software Craftsmanship Community), the biggest I.T commune present on the Island. It was held at Voila Hotel, Bagatelle. I am very happy to have been part of this amazing adventure and experience. After weeks of preparations, dry-runs and online meetings everything was finally in place and setup for the event. For my part, I’ve had to do a presentation and demo of Apache Hive running on top of Hadoop, “a java-based programming framework” that makes use of a cluster of computers/nodes to process large data sets all these powered by Microsoft HDInsight which is basically having the framework and Hadoop’s infrastructure in the cloud. The D-Day finally came and that morning was very rushy especially for me because of the previous sleepless night I had on preparing university’s assignments and waking up early to finalize GAB’s presentation. We were asked to attend Voila at least at 8:15 but I arrived there almost thirty minutes late. On my arrival, I had to find Hansynee and we started setting up the demo and trial executed last-minutes Hive commands. 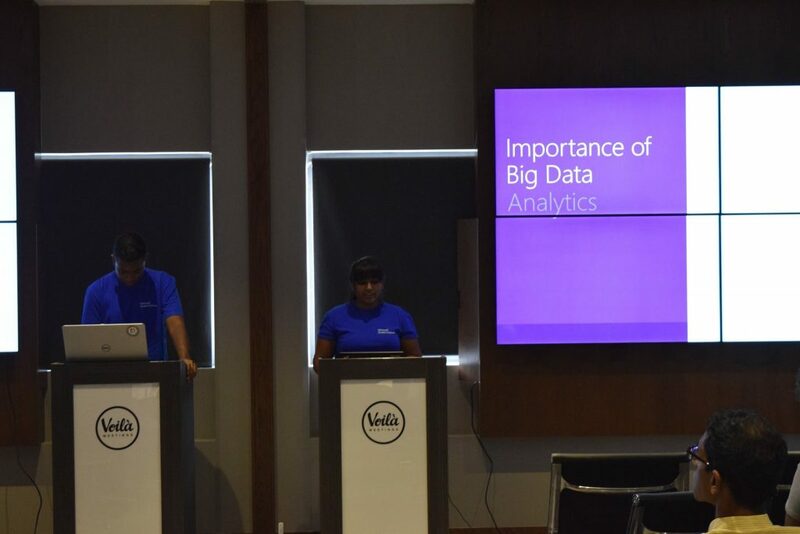 The time for the kick-off came and Chervine, Microsoft Azure MVP gave the keynote speech and then it was our turn to give our presentations on Big Data Analytics and HDInsight. 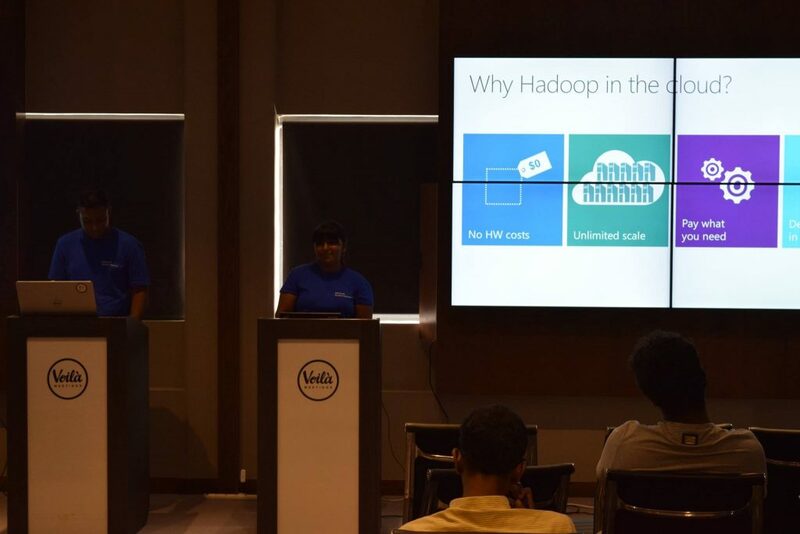 So Hansynee and I took the stage and she started her presentation with Hadoop and then introduced HDInsight and its advantages. 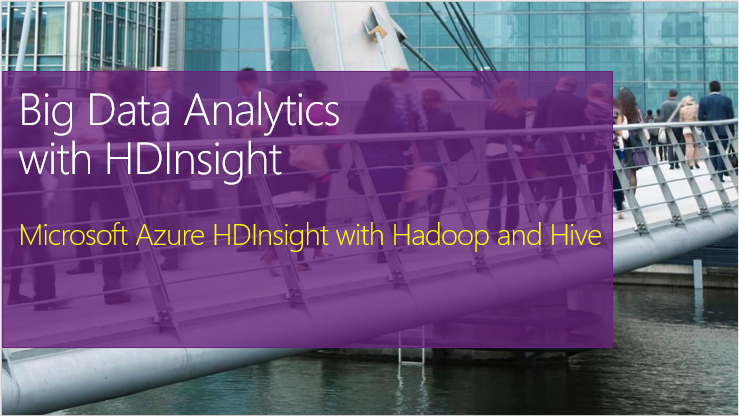 After that, she gave a demo about how to create and setup HDInsight cluster on Azure. Then ultimately came my turn, so I started out by introducing Apache Hive, what is it used for and what are the advantages and features that is provides. Everything went well except, then the time came for me to do a demo of how to create an external table, load data into it and demonstrate how to retrieve data from it using simple Hive QL commands my shell (the remote SSH session) that I was using to communicate remotely to my HDInsight cluster’s headnode became stuck so I had to show and explain the commands verbally without the demo for visual support. Fortunately, I did manage thanks to the help provided my Hansynee! So we could used her remote connection on her laptop to demonstrate at least one Hive QL command example not the full demo. So this was it, we concluded and left the stage and the Global Azure Bootcamp 2016 moved on with other MSP presenters.